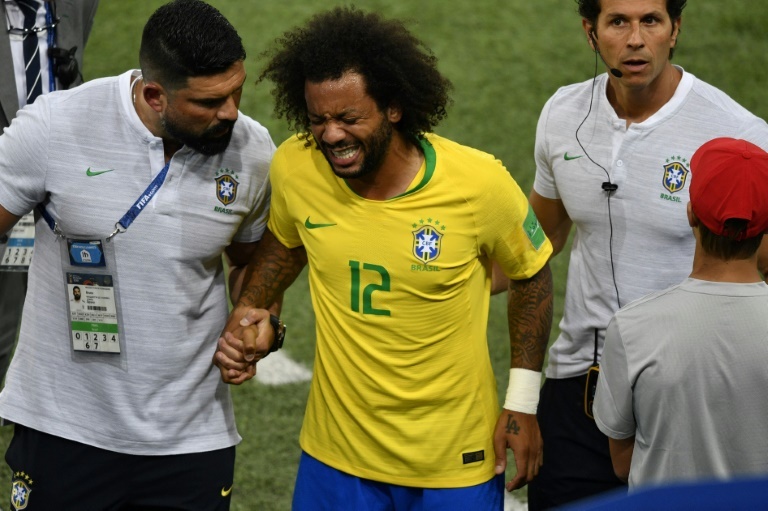 Brazil left-back Marcelo was forced off in the 10th minute of his side's crucial World Cup Group E clash with Serbia in Moscow on Wednesday with an injury. Visibly struggling, the Real Madrid defender was initially reluctant to leave the pitch, before being replaced by his Atletico Madrid counterpart Filipe Luis. Marcelo was wincing and holding his head in his hands. The five-time champions later took a half-time lead courtesy of a goal from midfielder Paulinho. A point would secure Brazil's place in the last 16 as they bid to banish the memories of their 2014 semi-final humiliation on home soil at the hands of Germany.